A strong antivirus program is essential for Windows PC users in order to make their computers run efficiently, prevent malware attacks, and safeguard their personal information and online identities. 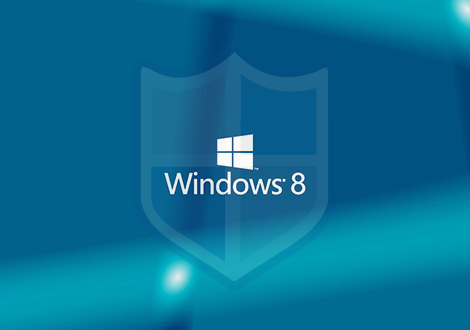 Comodo Free Antivirus is considered to be the best free antivirus for Windows 8 because of its unique Defense+ technology that is responsible for constantly examining running programs besides coming up with warning alerts when it discovers anything suspicious. This predictive feature included in Comodo free virus protection software is capable of providing it a competitive edge over other security software, most of which are capable of only identifying the known threats. Comodo free firewall and Sandbox mode are the other two significant features provided by Comodo's free antivirus software. Containment technology helps is backing default deny approach by 'containing' or 'restraining' files and running them in a separate environment, until they prove themselves to be harmless, without affecting your PC(s) security. Cloud-based Behavior Analysis — Valkyrie: with the increase in zero-day malware, the demand for a cloud-based behavior analysis system which can keep up with the various latest malware is indeed critical. Efficient Whitelisting refers to the potential to mark specific files as trustworthy and give them default access. Capable of efficiently safeguarding your PC against online threats, malicious codes, and hacks. Avast free antivirus is available with a powerful antivirus core and a highly customizable user interface. It enhances security measures with intelligent threat-detection, real-time protection, and added security for your network, browser, and passwords. Avast uses very minimal system resources and runs silently in the background giving you protection and productivity at the same time. AVG Antivirus protects your Windows 8 PC from malware, viruses, ransomware and several other threats without slowing down your computer. It is a full-fledged antivirus and antispyware tool, which includes a link scanner, email scanner, scheduled scanning options, automatic updates, and many more. Panda antivirus is a cloud-based antivirus, which uses cloud computing to carry away part of the scanning and other operations to remote servers, preventing your computer carrying out this task. Real-time protection against all types of spyware and malware. Scan your computer on demand/schedule periodic scans. Panda Rescue Kit is a free PC recovery system. Run an advanced scan of your PC or create a rescue USB drive to boot and clean those infected computers that won't even start. Multimedia/Gaming mode guarantees that you play or watch multimedia content without disturbance from your antivirus while continuing to be completely secure. Avira provides great protection against worms, viruses, and Trojans. The user interface is sleek and extremely customizable. It is powered by a combination of cloud technologies, artificial intelligence, and the endpoint antivirus scanner. Avira Free Antivirus, available with near-perfect detection rates, low system impact, and an intuitive interface, is capable of delivering a smooth-running solution that does not slow down your computer.